NEW: A beautifully presented anthology of 53 Alto and Mezzo-soprano oratorio arias. An core repertoire book. An anthologies for Sopranois already available. The Mélodie Treasury is an exciting resource providing support for singers and singing teachers interested in French classical art song or Mélodie. The Shop will allow you to purchase songs and accompaniments as well as various other resources for singers and singing teachers. It is also a hub for sales of Mélodie Treasury publications. The site has several video tutorials to help with understanding the IPA and its application to singing in unfamiliar languages. Click on the image above to go to the tutorials. This site makes extensive use of the International Phonetic Alphabet (IPA) to offer guidance in pronunciation, along with videos to give this aural expression. When singing in an unfamiliar foreign languages without expert guidance the IPA is an invaluable tool. On this site there is a thorough description of how to make all the sounds used in the French language. Luckily for would be interpreters of French song composers take care to make music fit text, so it is quite possible for English speaking singers to learn to sing in French with authentic pronunciation. Click here to go to the language support page. Whilst not exhaustive, this site has a vast collection of song translations freely available for study purposes. The translations are copyright so please notify if using for a concert programme, in which case a small donation towards running the library might be appropriate. Some of the French texts are still under copyright and should not themselves be copied. Click here to go to the library index. Also offered is a copy of Oh! think not my spirits are always as light by Christopher Shell. The site offers a number song scores for download as pdf files with an IPA transcription of the French texts. These can be bought in a variety of keys as can digital accompaniments as mp3 files (with or without the melody played). Whilst the accompaniments are not refined backing tracks, they are carefully created to help the learning process. There are a few free scores available too. Click here to go to see what scores are currently available. These wonderful collections of songs are a comprehensive guide to the style and art of singing in French and working with the French language. Published in two versions, for higher and lower voices,they offers invaluable help to teachers and students who are not confident with working in French. They have all the material available on the site conveniently presented and includes sixteen songs (vol. 1) and twenty two songs (vol.2), carefully annotated with IPA. Click here to go to find out more. 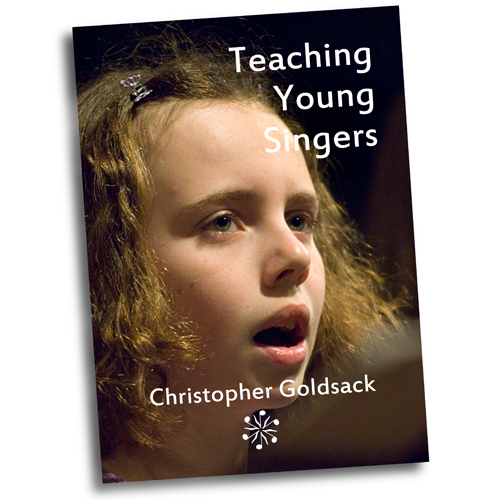 This new publication sets out to explain the methods used to by Christopher Goldsack in his teaching of Young Singers. It does not try to expand on interpretation, but is a short but considered description of how to teach the techniques that young singers need to become accomplished artists. Click here to go to find out more. 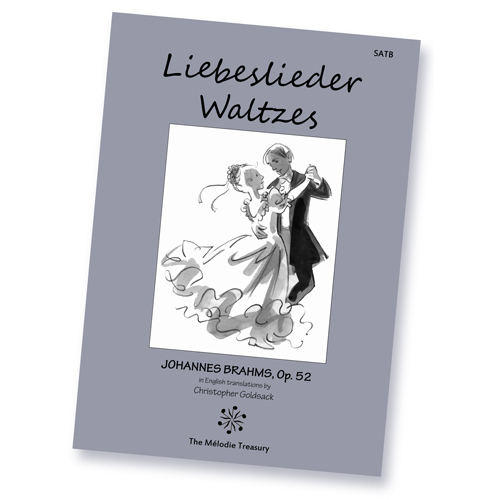 A vocal score of Brahms's wonderful Liebeslieder Waltzes for SAB choir, in a lively new English translation that is satisfying to sing, whilst following the meaning and rhyme structure of the original German poems as closely as possible. To help rehearsals the score has been presented with a solo piano reduction of the piano duet parts. Available for SAB and SATB choirs. Click here to go to find out more.